I am a big fan of literary journals. They give you the opportunity to try out the work of a lot of different authors without committing to a full novel. They also expose readers to writers they would often never find otherwise, or even know to look for. In the case of Radio Silence, there are several different formats in each volume, and even illustrations. Plus, where else are you going to find Springsteen and Sassoon in the same place? 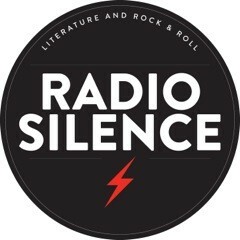 Radio Silence is published annually right now, with the next issue due this winter. (It will include Dashiell Hammett!) As explained in New Pages, it is run as a non-profit and the journal raises money for books and musical instruments for kids.